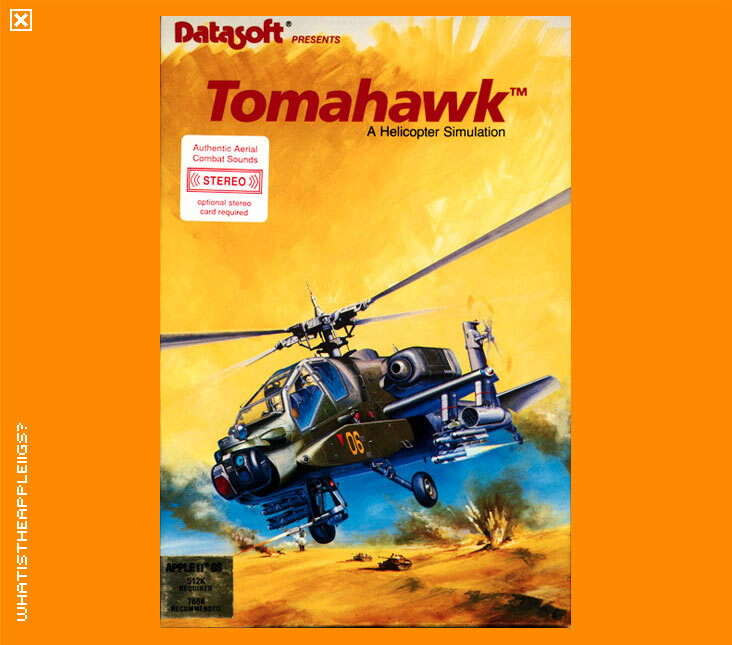 Tomahawk, was already a helicopter-based game from DataSoft in the form of an 8-bit version for the Apple IIe and IIc. Tomahawk for the IIGS plays more like a flight simulator compared to its 8-bit bit cousin and is in fact the only flight sim ever released for the IIGS platform. 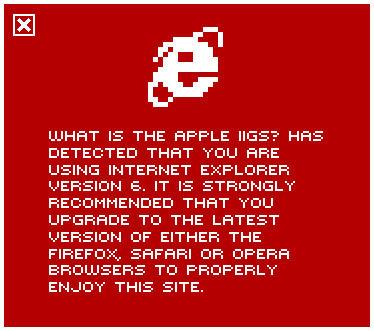 The game is played with both the mouse and keyboard or joystick. Being a flight sim, it's best to have a joystick, because of its analogue input and if you can support an analogue joystick, please use it. If you have any troubles with the game first booting, like the disk ejects, try getting to the Applesoft BASIC prompt, pressing control-reset at "Check Startup Device" and type "PR#5" which will boot that drive. The game finishes loading and you are then asked which input device you wish to use, your choice of stereo or mono sound and volume. You are then at the main menu, where you choose which mission to fly, at what difficulty and what weather conditions will apply. Starting a mission, the graphics then turn to vectors, and you begin on your base's helipad. To fly, kick in your engines with enough torque and you will begin to rise, those controls found on the bottom left of the screen. All cockpit commands are either initiated with the mouse or with keyboard short cuts. The keypad or joystick controls direction of your Tomahawk. Once you've gained enough altitude, moving your Tomahawk down towards the ground will start you moving forward. The icons near the bottom right of screen representing a helicopter, helipad, beacon and ground target are used to display the location of those particular targets on your radar. You can use 3 different types of weapons: heat seeker missiles, rockets and machine gun. Heat seeker missiles very rarely miss a target, but you are armed with only eight of them. Heat seekers will only lock on to targets that your radar is currently targeting, e.g. you will not lock onto an enemy chopper if you have ground target selected. When trying to target an enemy, you can enable the crosshairs to move about your field of view if you hold down the option key in combination with directional controls. Flight sims for the IIGS were always going to be tough to pull off. The lack of horsepower in a stock IIGS could never allow for fast, complex colour filled 3D landscapes used in flight sims. Tomahawk admirably uses wire frame vectors, but small detail such as trees and ground targets can never be appreciated unless you fly very close to the ground. Tomahawk was programmed by John Brooks with help from Robin Kar, a programming combination which helped enormously to get Tomahawk running as quick and smooth as possible. The game loads in next to no time, with a very nice intro featuring the first use of a 3200 colour image with music playing as the game loads. The sound effects for Tomahawk are truly excellent - very loud, very realistic and very much in stereo. Enjoy this only flight sim for the IIGS!